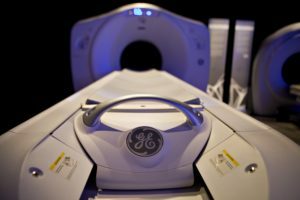 Having technology such as this large bore CT scanner close to home helps meet the ever-changing challenges in healthcare services and the needs of the patients in Northwest Kansas. The new scanner uses a lower dose of radiation, particularly important for cancer and pediatric patients. In addition, scans are quicker and require shorter breath holds. This is significant for those patients who suffer from claustrophobia. Diagnoses made with the assistance of this CT technology has reduced the need for invasive exploratory surgery and surgical biopsy. This scanner, purchased in part with a grant from the Hansen Foundation, has provided northwest Kansas residents with cutting edge technology for rapid and comprehensive diagnostic care.